"Where to begin? 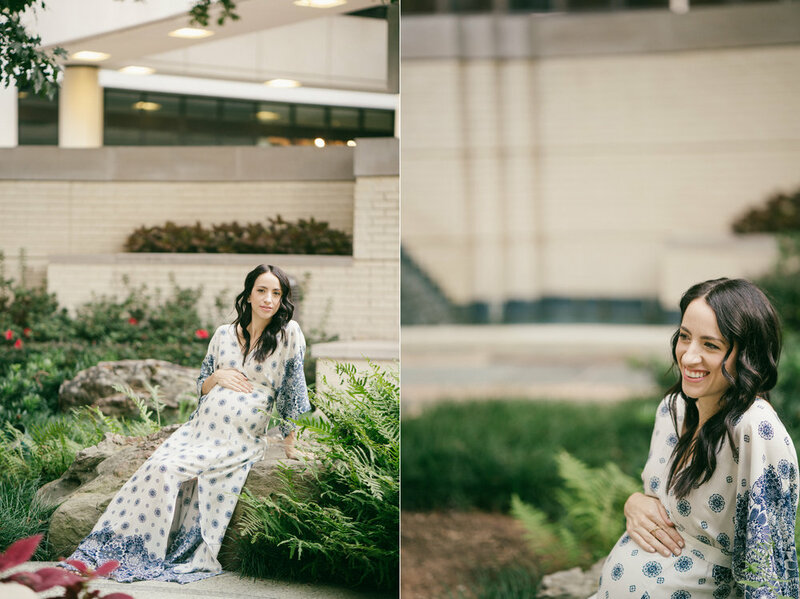 I have been overwhelmed with joy and emotion since the day I found out I was pregnant. After struggling with infertility for nearly three years, and then finding out my husband and I were expecting twins - I could not believe this was actually my life. My pregnancy, and pregnancy in general is the most beautiful, and definitely the hardest thing I have ever endured. I had no idea what to expect, and carrying my two boys exceeded my expectations. It is incredible to see what our bodies are capable of. Every kick, every ache and pain, every glimpse in the mirror at my growing belly is something I will never forget. It’s easy to rush pregnancy, and wish for your beautiful blessings to arrive. But now that my pregnant belly is gone, I look back at my maternity photos and wish I could get it back. Isn’t it crazy? I wouldn’t change a thing though. I am currently staring at my two gorgeous boys, who decided to arrive 7 weeks early, and cannot believe that they made me a Mom. I feel blessed beyond belief! And the best part? I get to experience all of this with my best friend. Seeing Chris become a Dad has been so emotional for me. The way he looks at them; when he tells me I did a good job, that I am an incredible Mom. When he thanks me for blessing him with two miracles - what more could I ask for? He has been so hands on, and I am so thankful for that! Bringing twins into this world has been a whirlwind, and having such an incredible husband by my side is more than I could ever ask for. I worried for years that I would not be able to give Chris the baby or babies he longed for. Knowing now that we have our two boys here, I feel complete. And I think he does too.